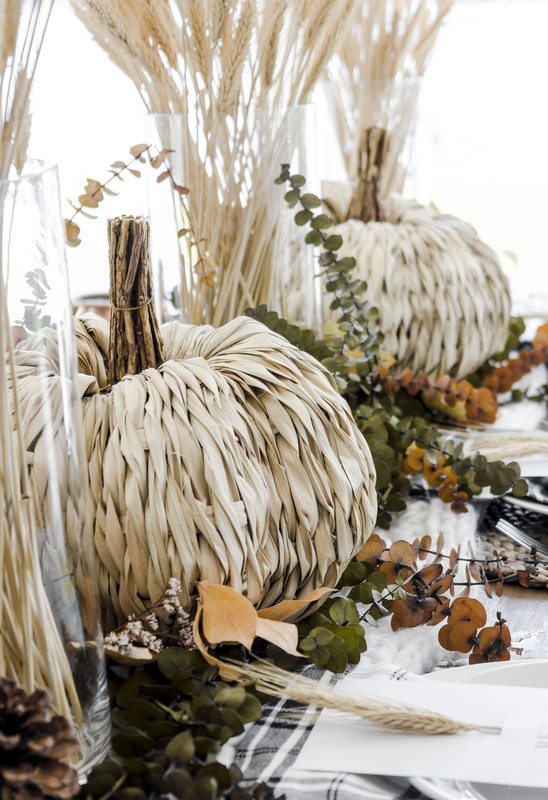 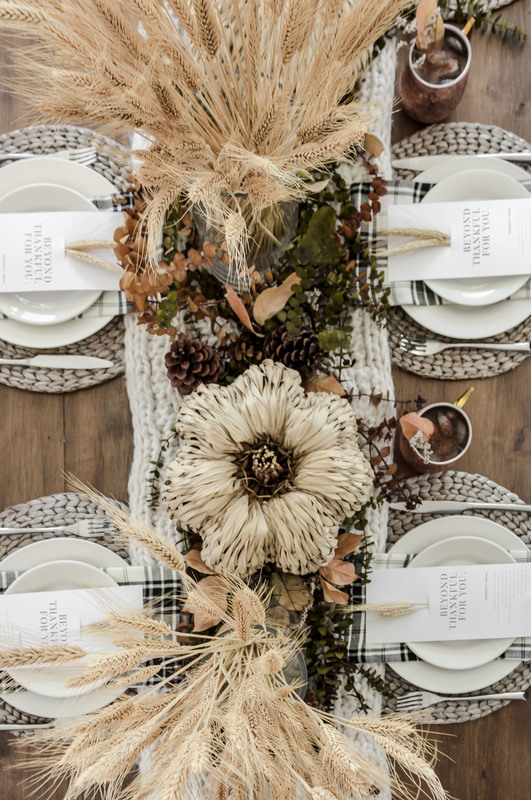 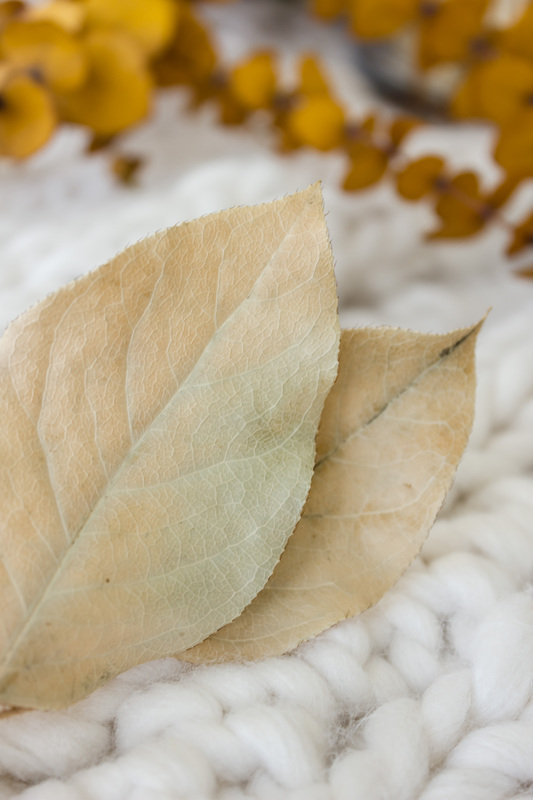 This year’s Thanksgiving tablescape is full of all things fall. 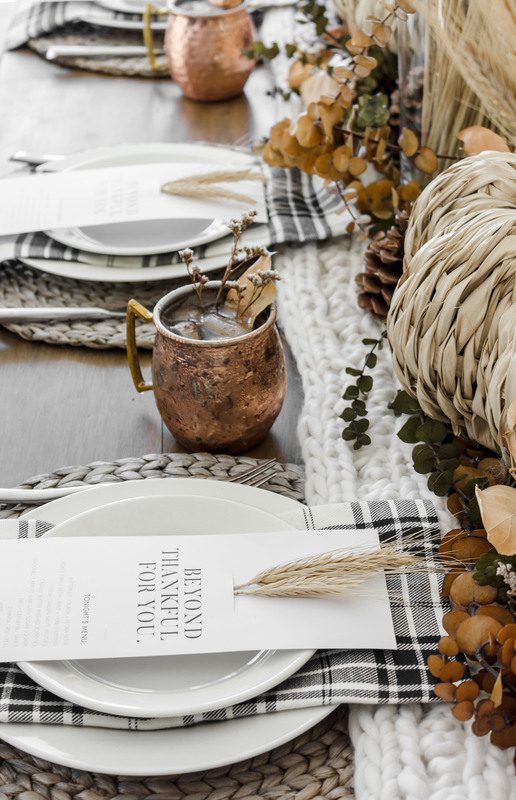 From cozy knit textures, autumn dried eucalyptus, straw braided pumpkins, to my favourite apple spice mules, all together on our favourite handmade harvest dining table. 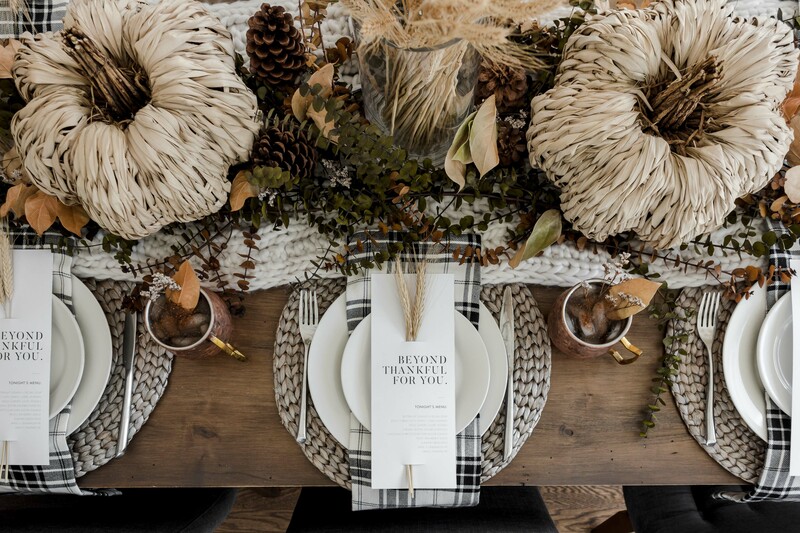 I love to play with layering while designing my tablescapes and mixing different textures to create a unique organic look. 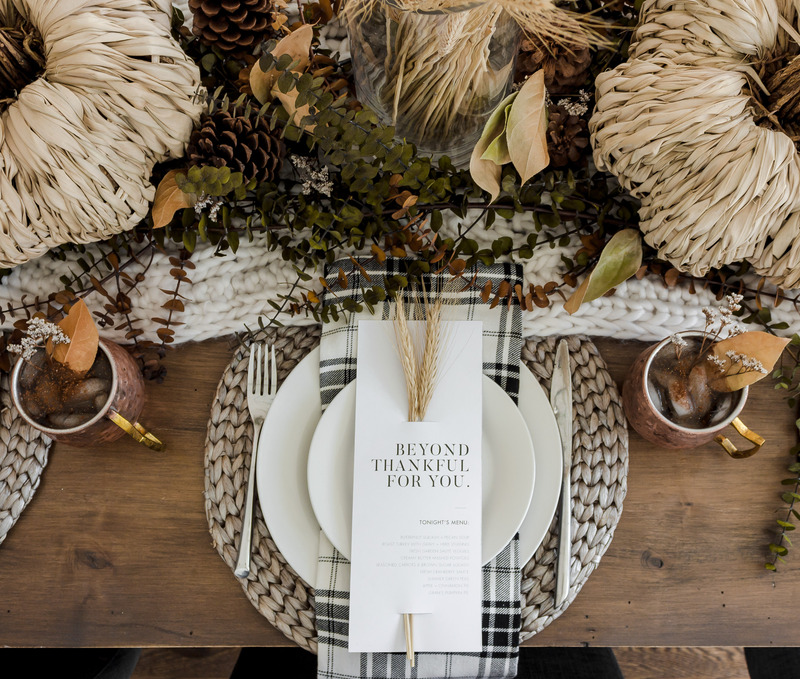 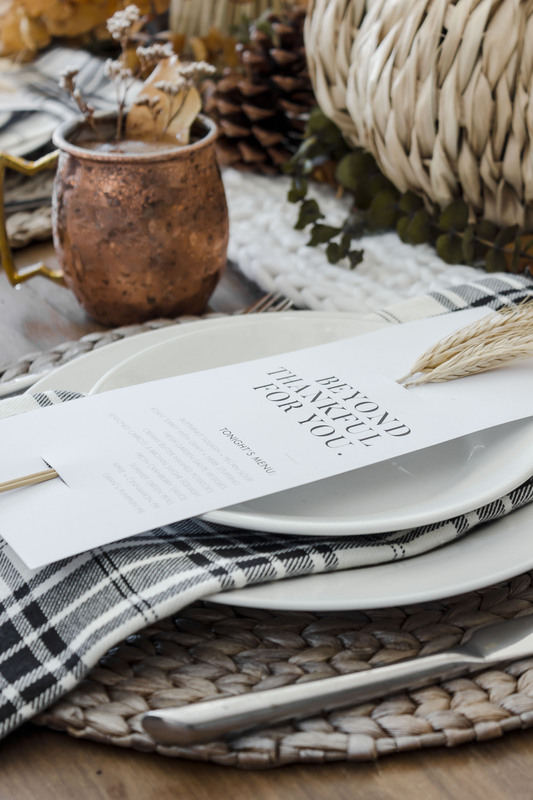 The colour scheme this year consists of warm earthy tones paired with a touch of black and white classic plaid. 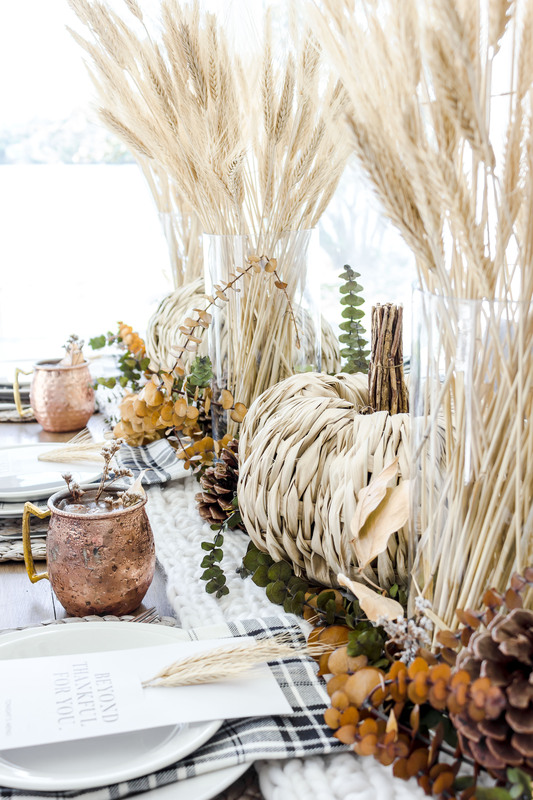 I wanted to bring the feeling of an outdoor autumn forest picnic inside our little dining room nook. 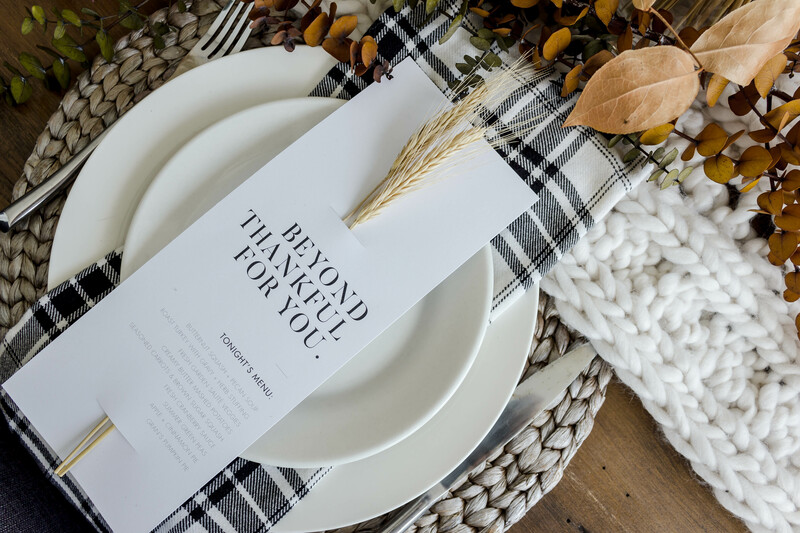 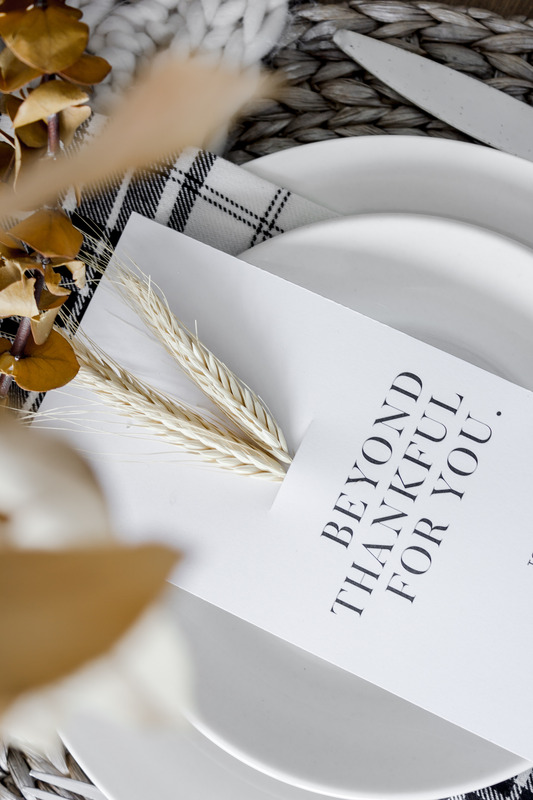 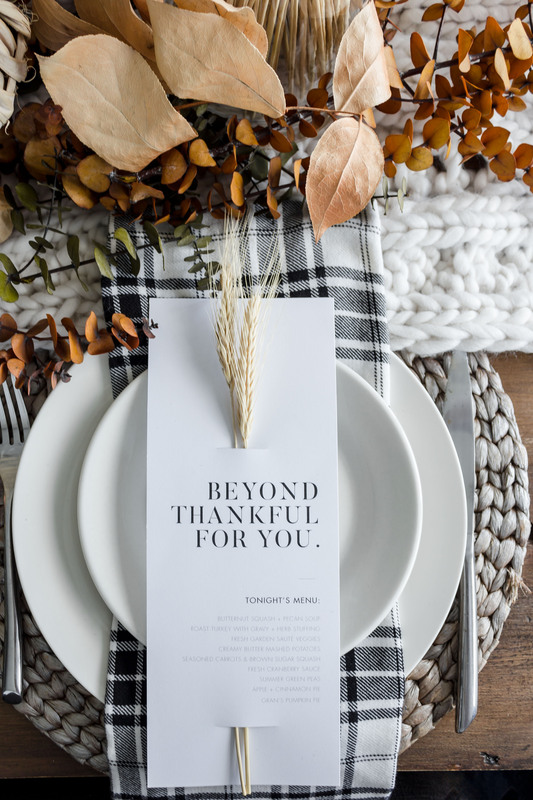 To complete the design, I added custom menu cards (designed by yours truly), displaying our delicious Thanksgiving meal and a little meaningful message to show our gratitude and appreciation towards our beloved guests. 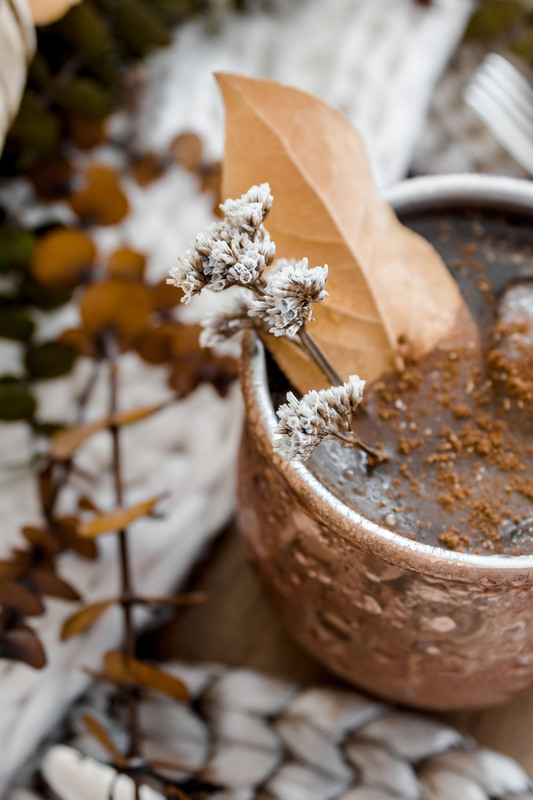 One of my all-time favourite foods is the combination of anything apple and anything cinnamon. 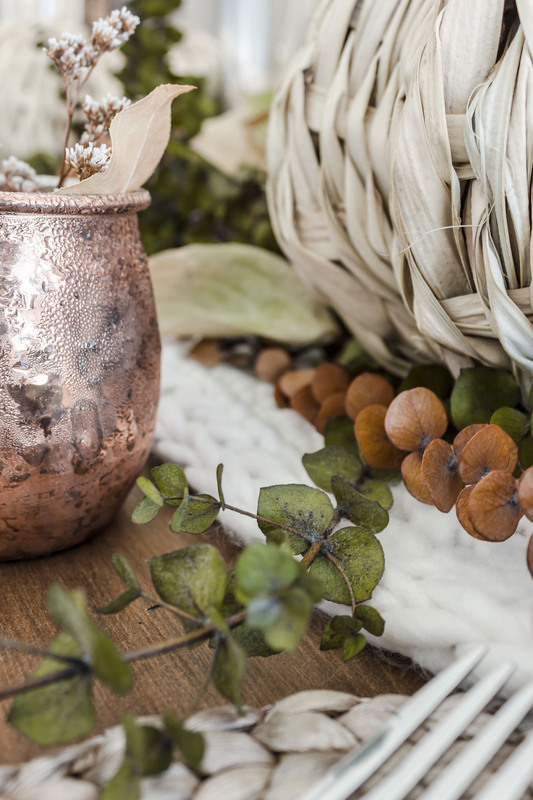 That being said you can imagine how excited I was to find this delicious Apple Spice Moscow Mule recipe, just in time for Thanksgiving. 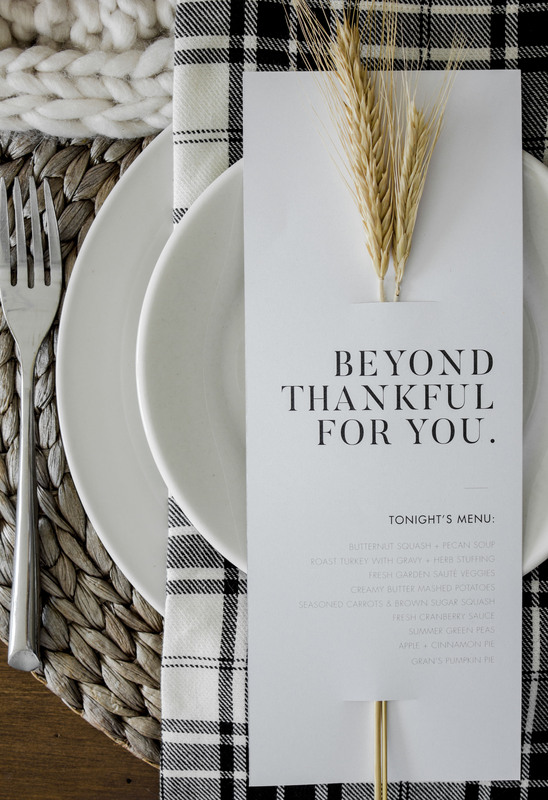 How delicious! 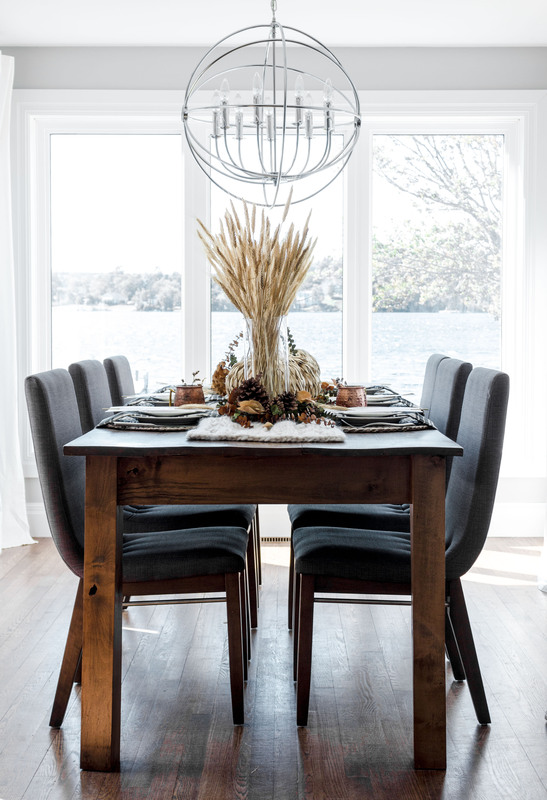 What a beautifully styled table!! 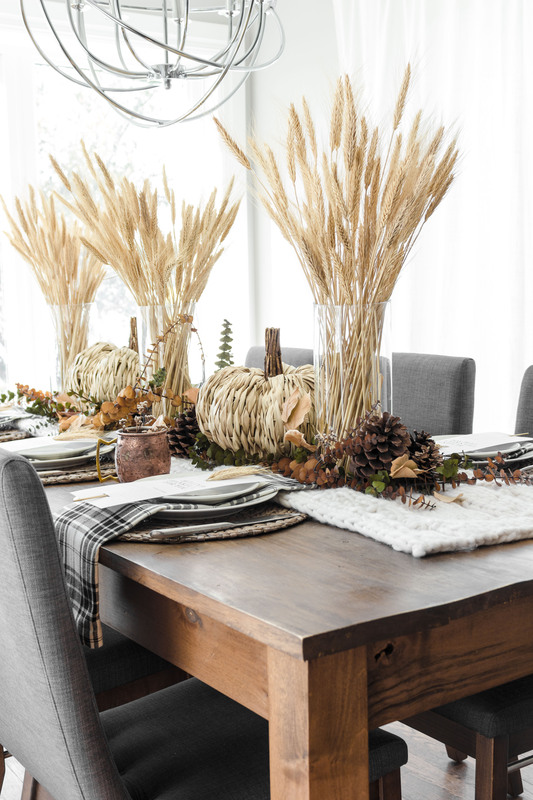 I feel like I need you to come decorate my home for the holidays!